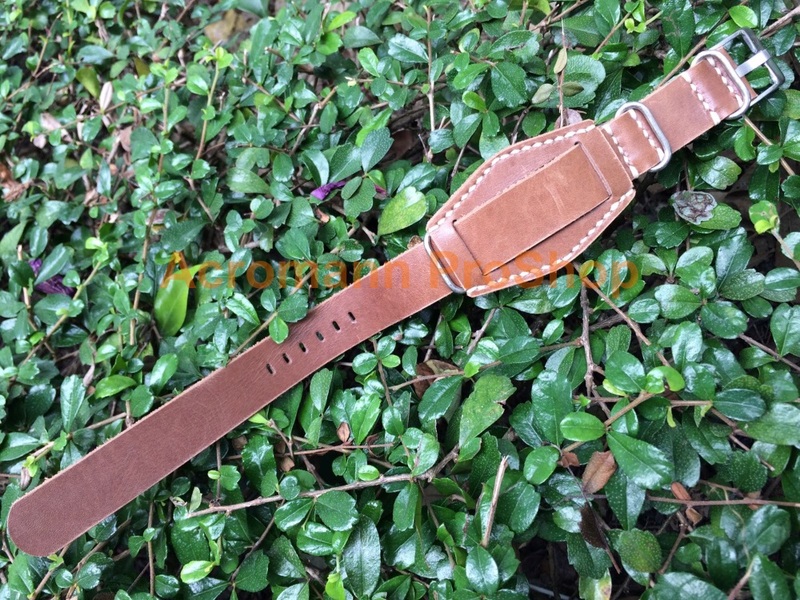 Fully handmade vintage look calf leather, natural tanned, hand cut, hand stitched and hand finished. 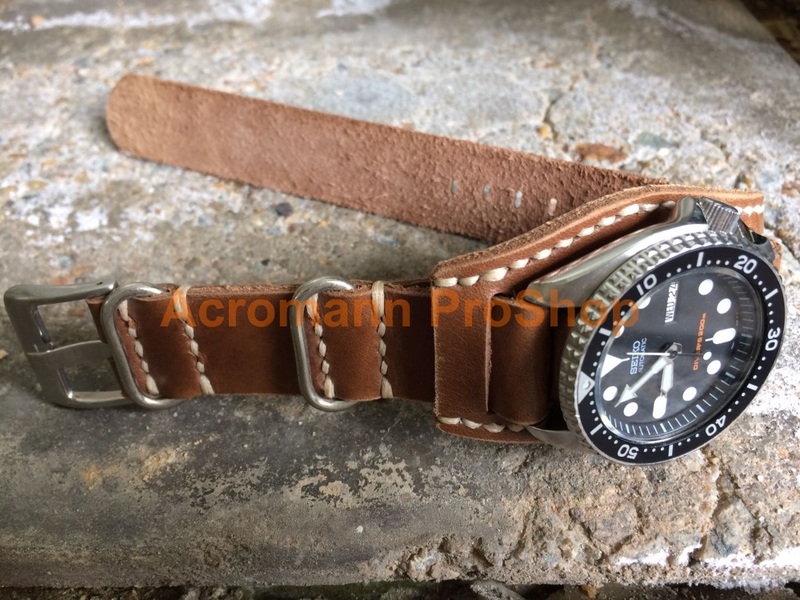 This calf leather is soft but durable, adds a level of comfort to your wrist with an unique retro vintage effect done by hand. 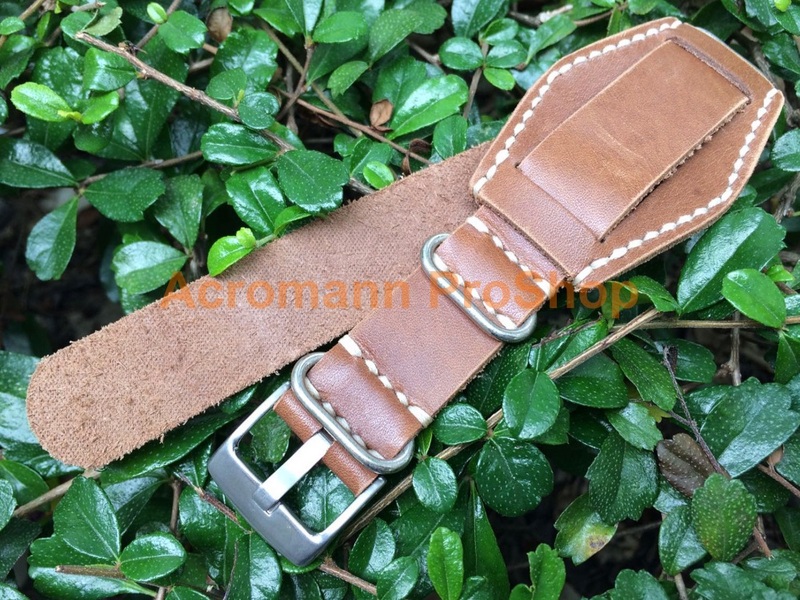 Top layer and flip over side are using the same leather, ages subtly and gains patina over time according to habits. 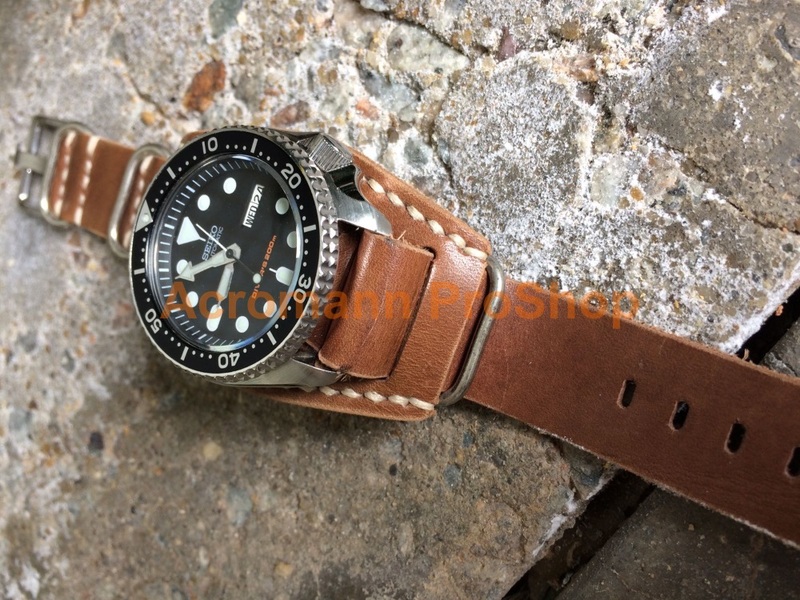 This premium quality replacement strap definitely ideal for luxury watches such as Seiko Divers, Seiko Tuna, Rolex Deep Sea & IWC Big Pilot. 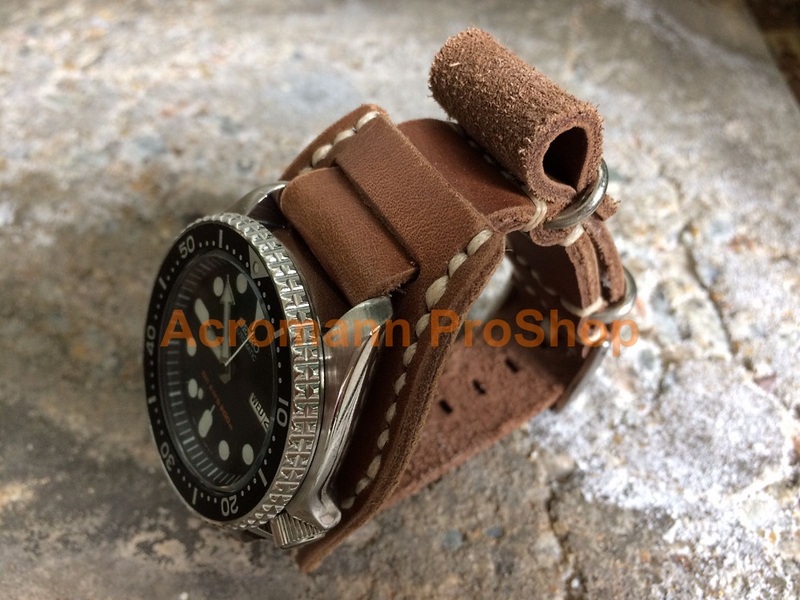 (1) Demo Watches : Seiko Scuba Divers 200m (i.e. watches NOT included & for reference only) !